Super Caslevania IV This is more or less a remake of the first Castlevania for the NES. Granted, none of the levels or graphics are the same. The story is the same. You play Simon Belmont who comes from a long line of vampire hunters. You are on a quest to destroy Dracula with your trusty whip. 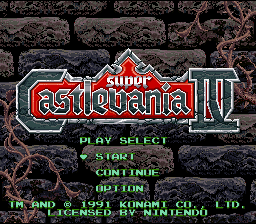 This game was a showcase for some of the new features of the SNES. 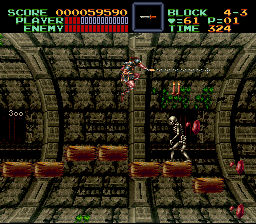 It used the mode7 of the SNES to rotate levels around you. The levels used paralax scrolling to add more depth of view. 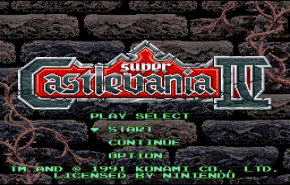 A nice addition to the Castlevania series. I would have appreciated a bit more depth in the storyline however.